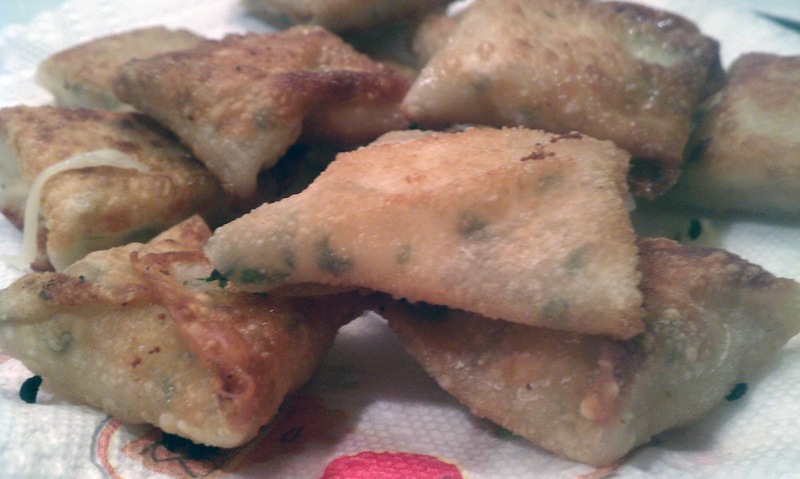 Remember those wonton wrappers that I used for the WeightWatchers – Baked Crab Rangoon? Well if you’ve tried it out, you know that there are a LOT of those wrappers in one little package. 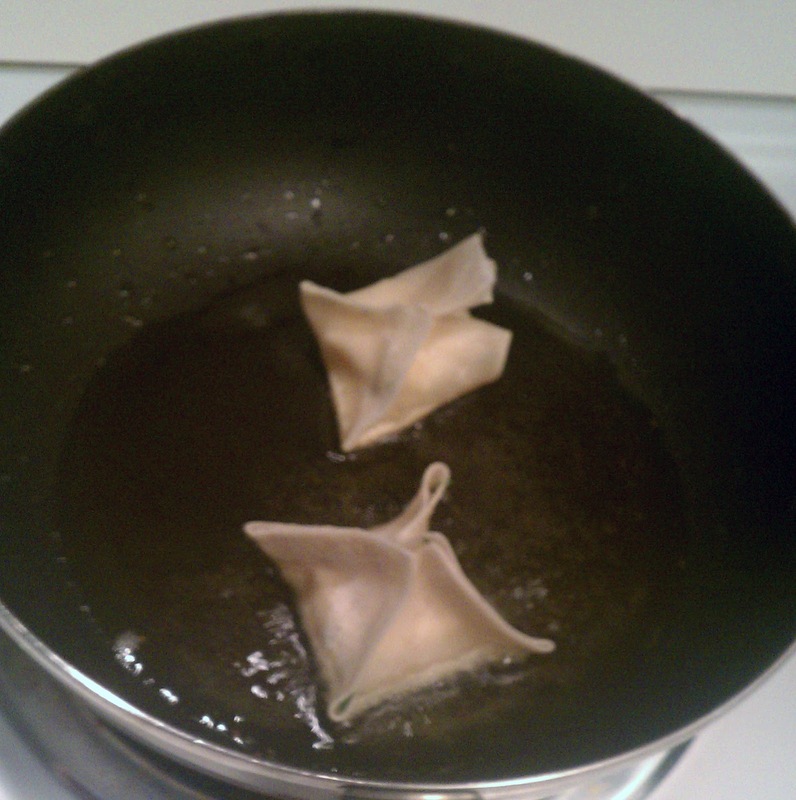 I can’t make that many baked Rangoon at once, (or eat that many, healthy or not) and I hate having them just stare at me in the freezer. 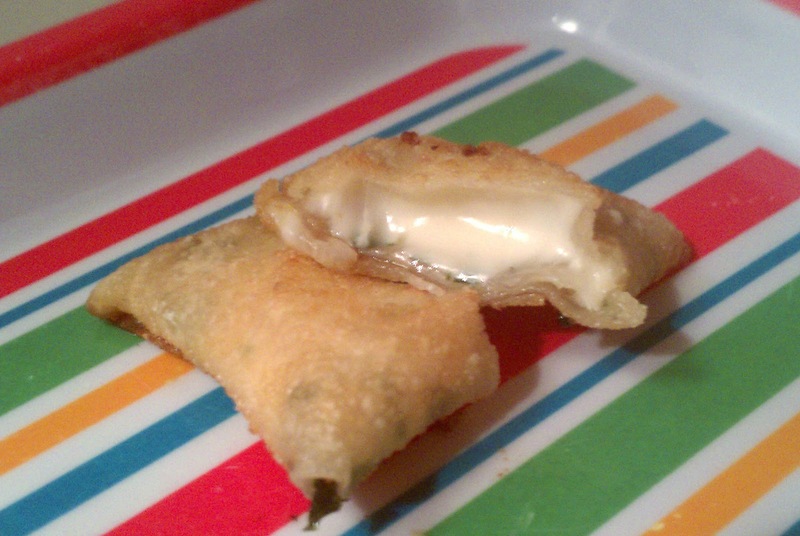 A little experimenting and testing later, I find that the wrappers are also excellent for making Italian style cheese bites. 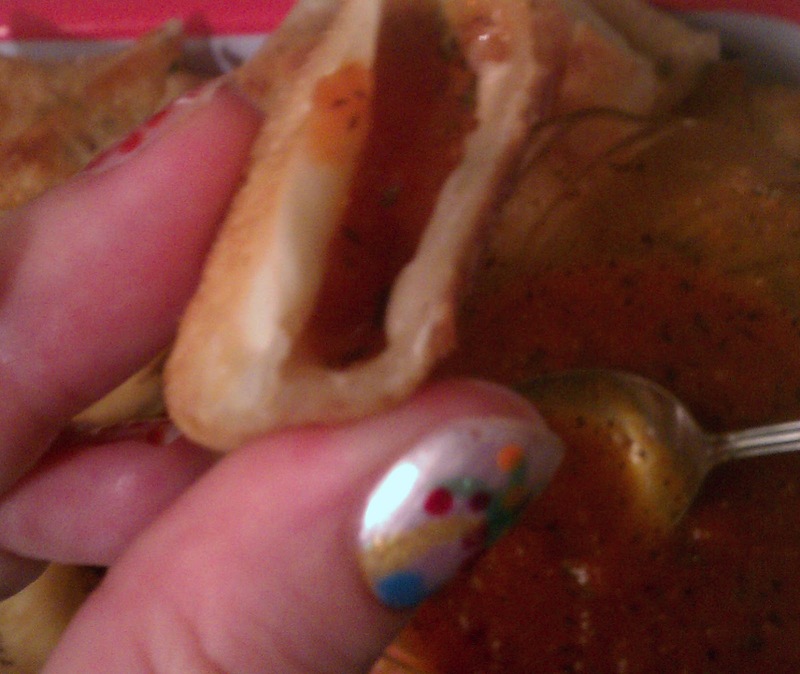 Even better, these bites can double for dippers in your favorite marinara sauce! Most importantly: they were so easy to do! 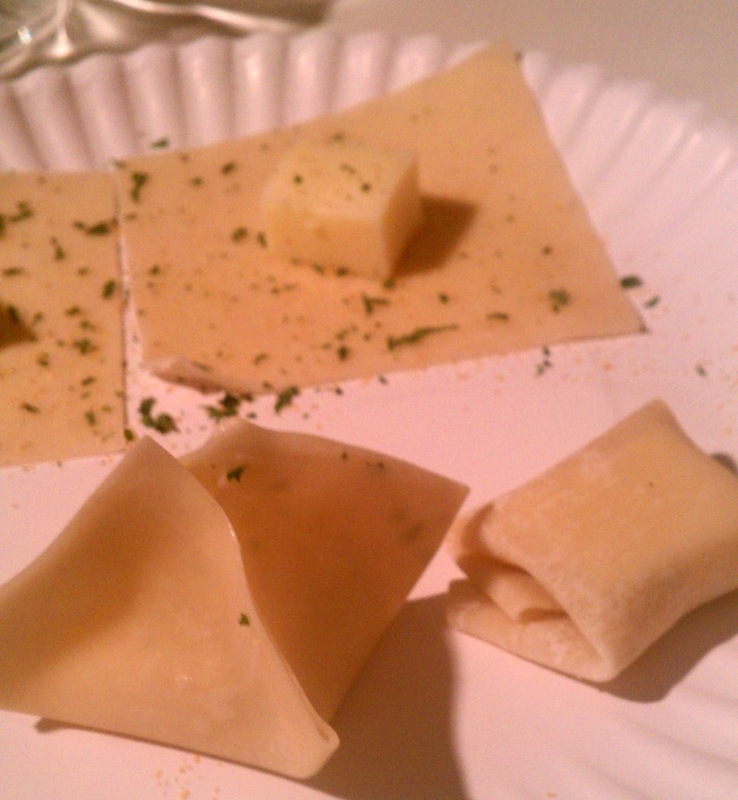 Lay out all of the wrappers I want to use, sprinkle some garlic powder, pepper, parsley and basil flakes (or your favorite Italian seasoning mix) and put a cube of mozzarella cheese on each one in the center before I folded it up! You could easily buy the pre-cubed cheese at the supermarket to cut down on prep, whichever is easier. Obviously if you have fresh herbs or garlic, they will be an awesome addition to your seasoning blend. 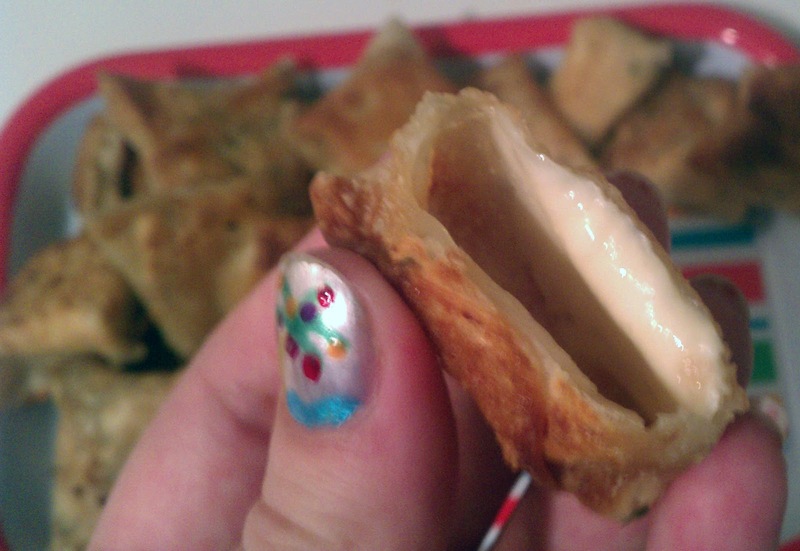 I found that you COULD fold them like the baked crap Rangoon, but if you fold them like little envelopes, they make perfect dipping sauce scoopers and turn into little pockets! So delicious! I hope you can try these out, or whatever variation interests you!